Happy New Year and welcome to our new SEND newsletter, which is an opportunity for parents, partners and practitioners to keep up to date with relevant news and events. 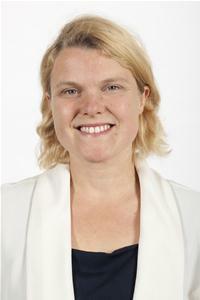 I am particularly pleased to welcome Angela Wellings, our new interim Director of the Disability Enablement Service who has already made a real difference to the way the service is being led at this challenging time and to note the re-launch of our Young People’s forum. Before Christmas, the Government announced an increase in High Needs Block funding for local authorities, which is welcome. However, at a time when the number of children educated in special schools and specialist colleges has increased nationally by 24 percent and spending continues to increase, I support the Local Government Association’s call on Government to launch a national review of SEND provision to overhaul of the support provided for children with special needs. Parents have also been campaigning hard on the crisis in SEND funding. We need “a fundamental reboot” of the powers councils need to commission support for children with special needs and a rethink of what is needed to address the pressures that are driving ever-greater demand. 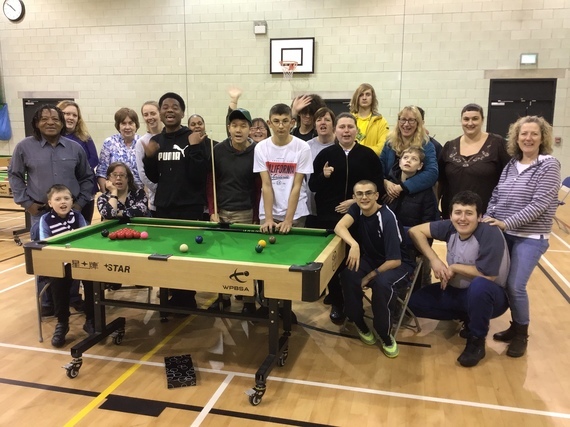 The Disability Enablement Service hosted the relaunch of the Young Peoples Forum on the 13th November to coincide with “Youth Take over Month”. There was a great turn out with seventeen young people taking part. The forum was led by the service’s apprentice and focused on the big question, “If you were in charge of the council what would you change and why”? This sparked some really interesting and passionate conversations about the services available to young people with special educational needs and disabilities, in particular the offer from the voluntary and community sector. The young people talked about the need for more affordable housing and different housing options. A big theme was safety especially on public transport. 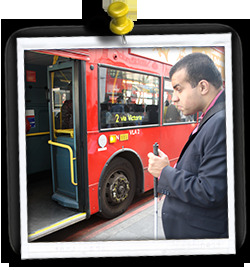 As a result of the points raised it was suggested that some of the group could take part in the Transport for London Bus days. Together with police from the Safer Transport Team, participants can practise making journeys on a bus which has been taken out of service for the day. As reward for the fantastic input into the Young Peoples Forums the group were taken for Trip Up at the O2. 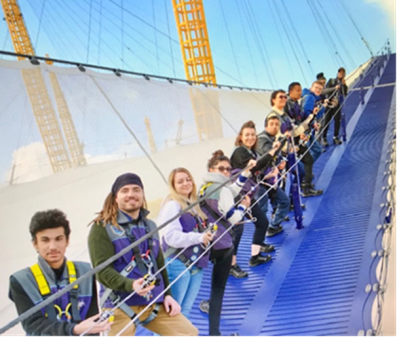 This fantastic team building exercise got everyone climbing right to the top of the O2. Ensuring an oversight of health needs and provision with the EHC plan. A strategic role within joint commissioning of services and the local area participation and engagement strategy. The DCO has an overview of the way in which health services identify the needs of children and young people, health contribution as part of the Education, Health and Care needs assessment and in improving health outcomes of C&YP with SEND. The DCO also has a responsibility to understand the ways in which services are working together to meet the needs of children, young people, and their families. This means working with all partner organisations to consider the local profile of needs, quality of services and support and identify any gaps in provision. The Transforming Care Programme is a national plan to develop community services and close inpatient facilities for people with a learning disability and or autism who display behaviour that could be described as challenging. It is about improving health and care services so that more people can live in the community, with the right support close to home. Positive behaviour support is a method of working provides the right support for a person, their family and friends to help people lead a meaningful life and learn new skills without unnecessary restrictions. 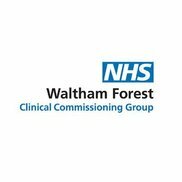 In Waltham Forest we have been successful in getting some funding to support Positive Behaviour Support training for parents and carers. We will be letting you know more about this soon. 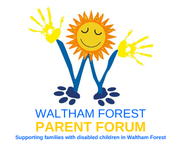 Waltham Forest Parent Forum is a friendly, voluntary group of parents and carers of disabled children and young people aged 0 to 25 in the London Borough of Waltham Forest. provide an opportunity to participate in joint decision making on services. provide information to help increase knowledge of the SEND reforms and legislation. improve and influence those services affecting our families. provide emotional, practical and social support. help reduce isolation and increase well-being. Membership Membership of WFPF is free and we do not ask anything of you unless you want to become involved in forum activities and consultations. 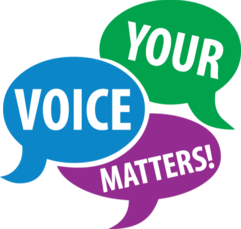 Parents, carers, grandparents, extended family, friends and professionals supporting families who have a child with a disability or special needs are all welcome to join the forum. As a member of WFPF you will be sent regular updates on national and local consultations, invites to WFPF events and much more. To join the forum simply complete the online membership form or download a form which you can post to us if preferred. Supporting Parents of Young People with Learning Disabilities and/or Autism with the transition through adolescence and puberty. Could you be a Legend of the Forest? 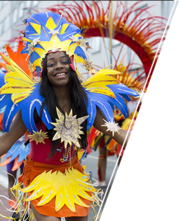 Waltham Forest London Borough of Culture needs our residents to get involved and help make 2019 an unforgettable year. T-ABILITY sports for all. Free table and floor sports for all ages and levels of ability. Snooker (6D competitions), pool, polybat, table cricket, new age kurling and boccia. You received this newsletter because you signed up for news about SEND. 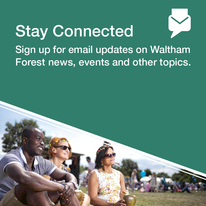 There are now email newsletters set up for most of the Council's services plus regeneration sites across Waltham Forest so if you are interested in other services please sign up for those newsletters too. Please encourage friends and family to sign up so they too can stay connected with what's happening in our borough.